Our product range includes a wide range of stainless steel conveyor, processing tank, storage tank and rotary bottle washing machine. Our organization is widely known among the customers for manufacturing and supplying a wide range of optimum quality Conveyors. The offered range of conveyors is manufactured by our professionals in compliance with the international quality standards & norms. 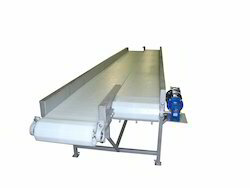 These tripper conveyors are available with us in various sizes and width to meet the diverse requirements of customers. 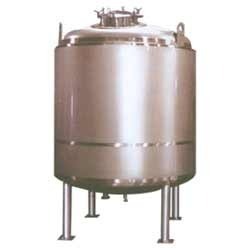 We are engaged in manufacturing quality Processing Tank which are widely appreciated for their robust construction and durability. Our range of accessories is extensively made use of in Pharmaceutical and Chemical industries. Our tanks are fabricated using premium grade stainless steel. 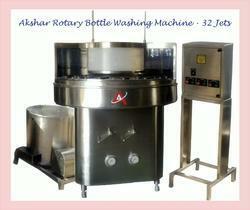 Rotary Bottle Washing Machines are ideal for washing injection bottles, infusion bottles, ampoules, cartridges and syringes. It is designed to clean various types of glass bottles or plastic, metal containers either round or odd shaped, subjecting it to a series of distinct processing operations. On washing machines, containers are fed individually and considerately through several stations: flooding, washing (with or without ultrasonic support), blowing out and transfer to a downstream sterilizing tunnel. 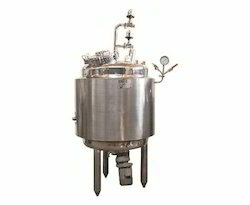 Looking for “Liquid Pharma Machinery”?